The Mark Foundation for Cancer Research was established by Alex Knaster in memory of his father, Mark, who succumbed to cancer in 2014. 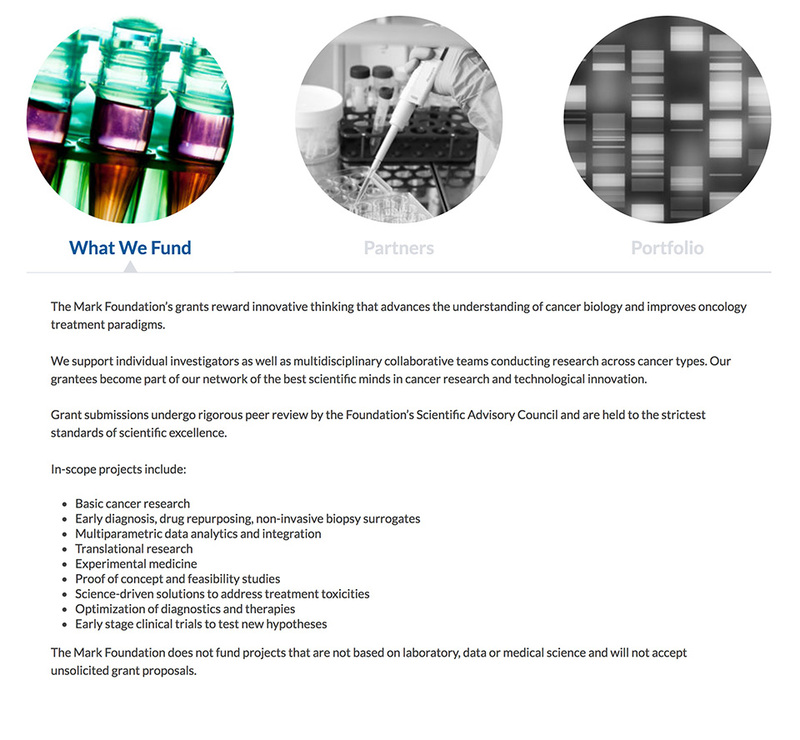 The foundation’s goal is to reward cutting-edge, innovative ideas that transform patient care and answer the most complex questions about cancer biology. 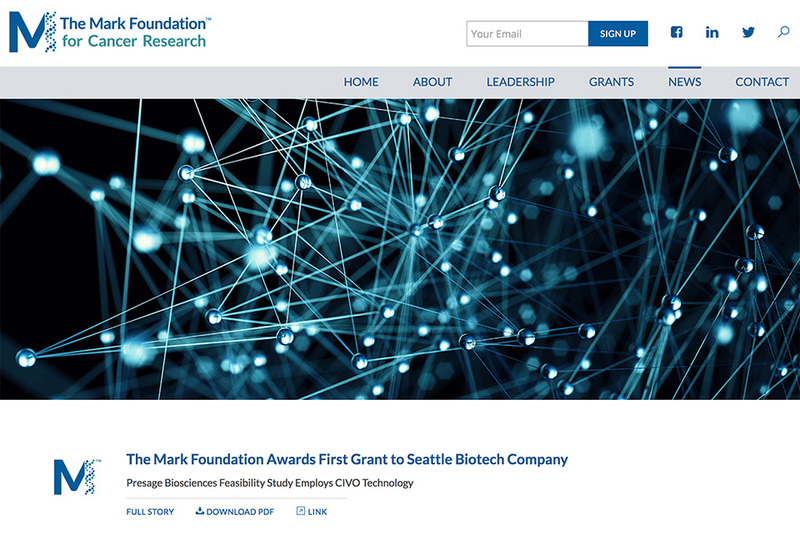 The Mark Foundation is a new foundation that combines translational cancer research with venture philanthropy. 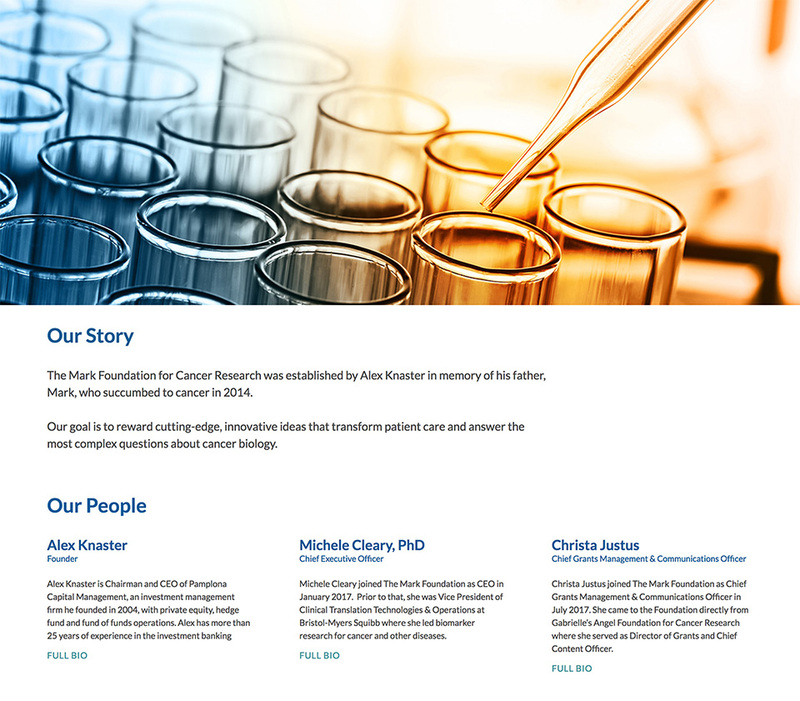 To relate their innovative mission to cancer researchers and other stakeholders, we worked with the foundation’s executive staff to build a new website from the ground up. The site offers the Mark Foundation the ability to seamlessly add content to their home on the web; as the organization grows and expands its outreach, so will the website. 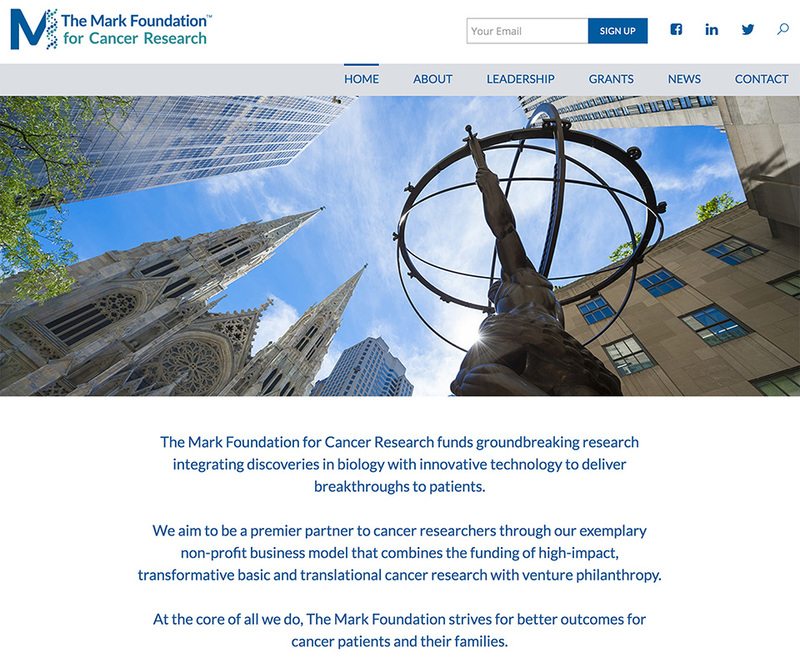 themarkfoundation.org is responsive across an array of laptops, desktops, phones, and modern browsers. 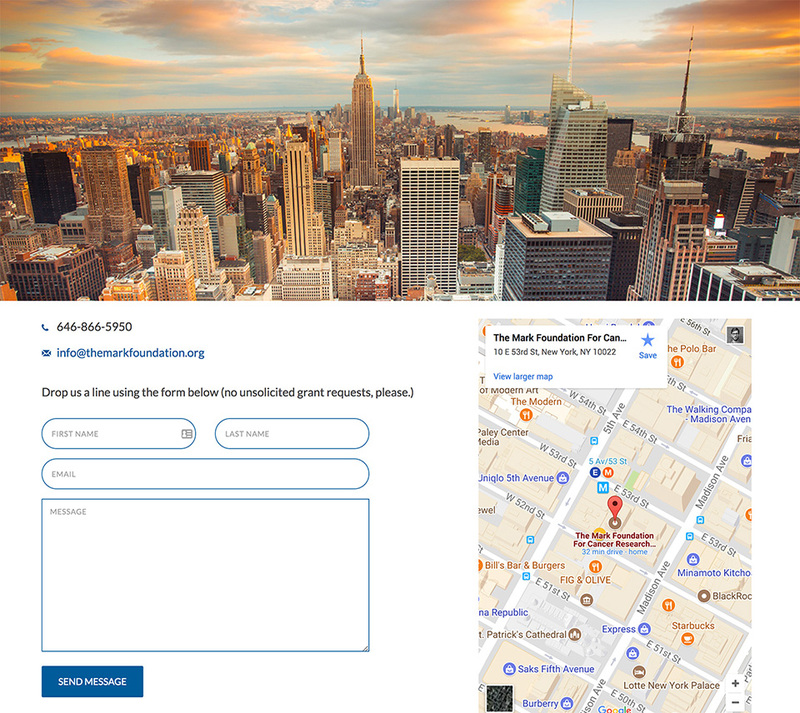 Custom forms integrated with the site’s contact email addresses and MailChimp give the foundation the avenues they need to communicate with grant applicants and other site users. We’re proud to contribute to such an important force in the fight against cancer. 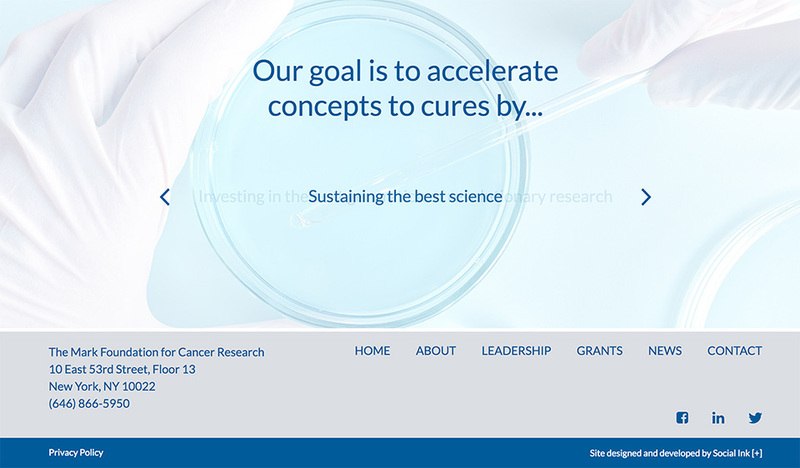 This site represents our continued partnerships with nonprofits in New York—building websites for foundations, research institutions, and public health advocates.